Unifies the various approaches used to characterize the interaction of signals with systems. Stresses their commonality, and contrasts difference/differential equation models, convolution, and state variable formulations in presenting continuous- and discrete-time systems. Transform methods are also discussed as they relate to corresponding time-domain techniques. This edition expands discussion of applications of the theoretical material in physical problems, enhancing students' ability to relate this material to design activities. Material on deconvolution has also been added to the time-domain and transform-domain treatments of discrete-time systems. Contains many examples and equations. 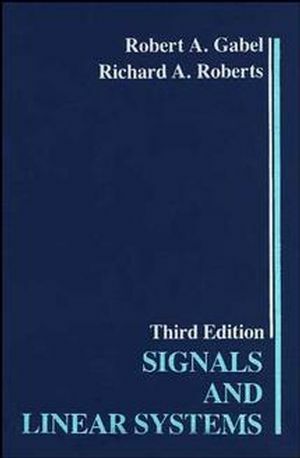 Robert A. Gabel and Richard A. Roberts are the authors of Signals and Linear Systems, 3rd Edition, published by Wiley. An Introduction to the Design of Digital Filters.